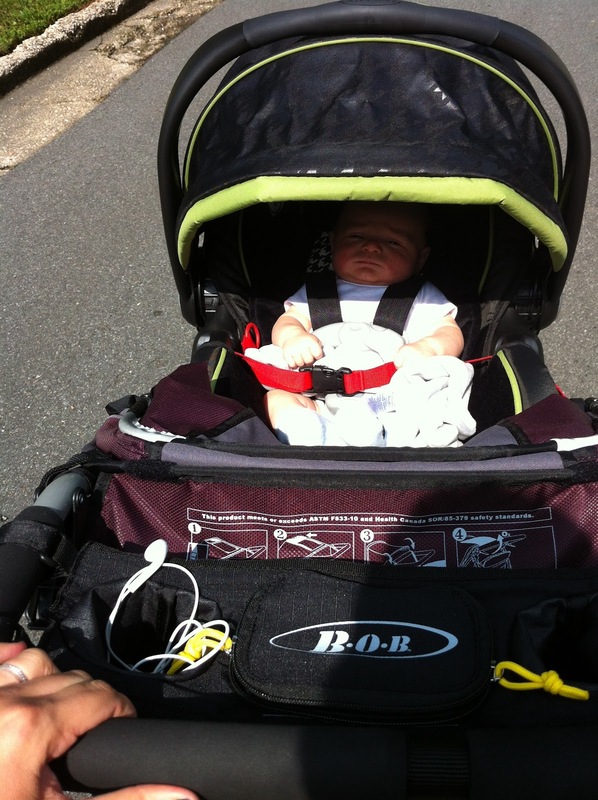 Today Mason and I headed out for a jog in our BOB jogging stroller around mid morning. I started by walking for 1/4 mile then running for 1/2 mile, and continued to alternate the walking and running for 2.75 miles. 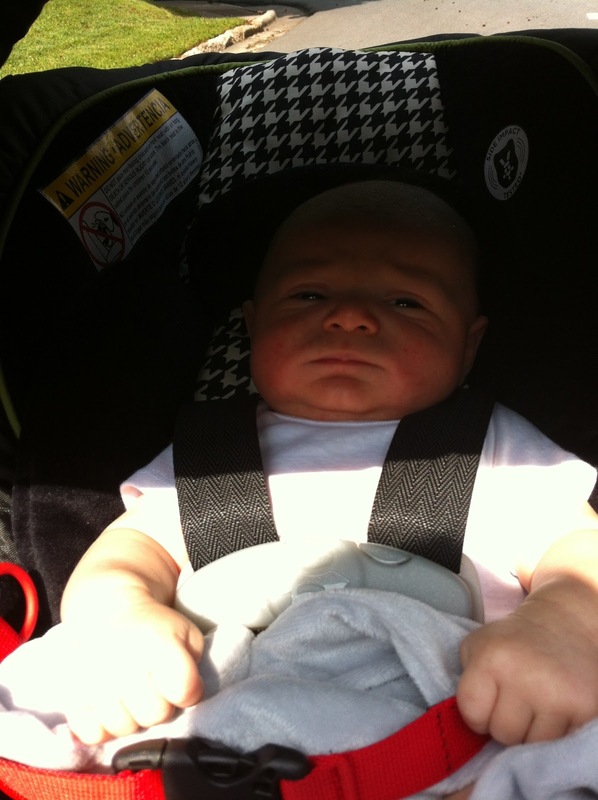 We were outside for a little over 30 minutes and found that by 11:30a it was just too hot! Tomorrow we'll probably start a little earlier in the morning and will try to avoid the hills we did today. Fortunately my knees did not bother me at all! I'll slowly try to decrease the amount of walking I've been doing during my runs, and in turn increase the total amount of running. There's only 2.5 weeks left until the 5k and I need to get FASTER! Day #4 of my work out streak!